Having a casino theme party is a great way to get your guests involved in the festivities. 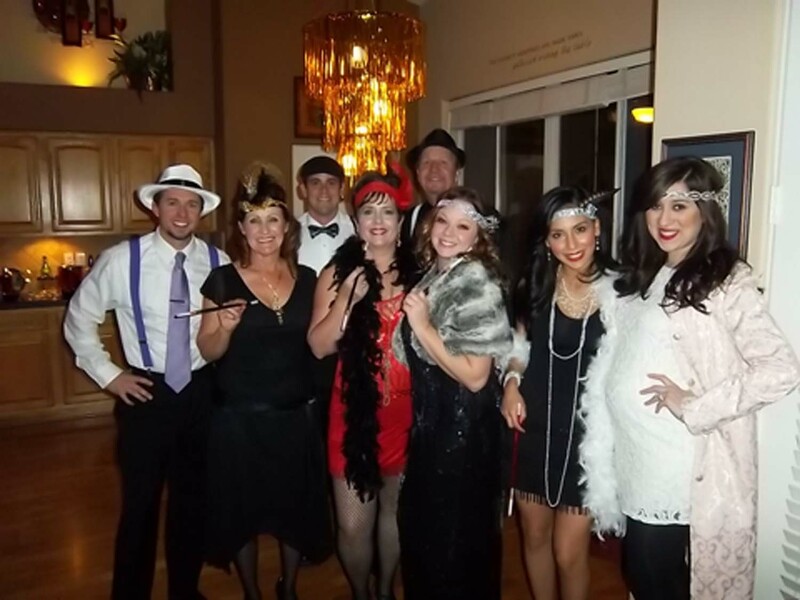 A casino theme party is sure to be enjoyed by all! 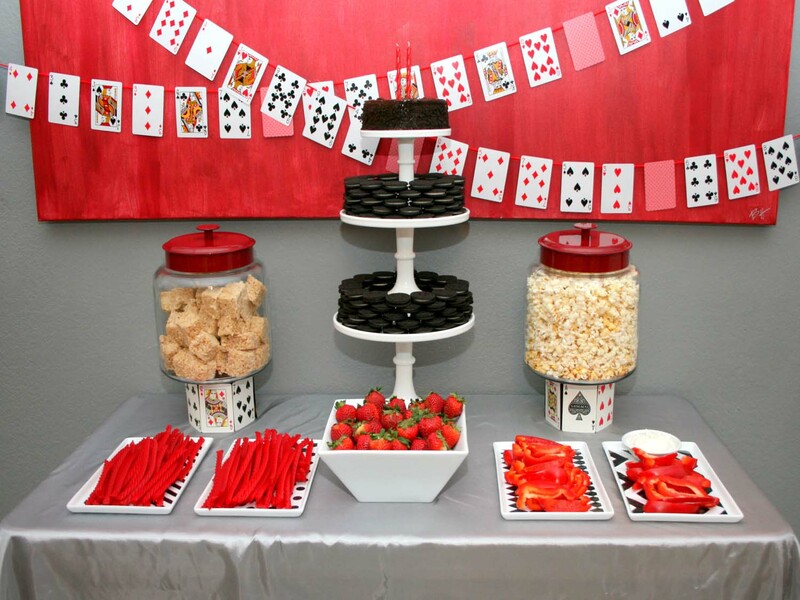 While you may not have a Las Vegas budget for your party, you can still decorate and entertain on a small scale while still making a big impression. Planning a casino party is fun. 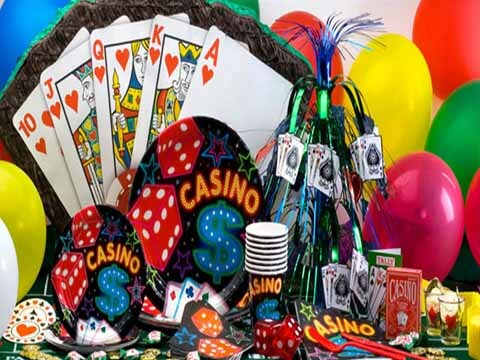 The following casino party tips will get you started in planning your casino theme party. 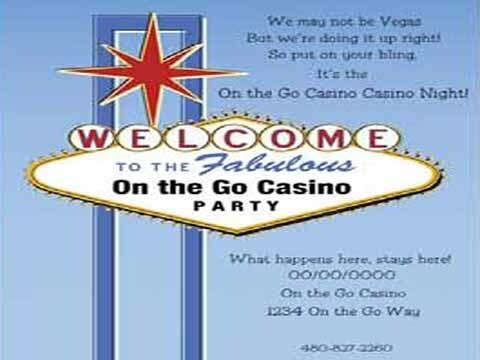 The invitations for your casino theme party are the first thing your guests will see in reference to the party. In order to make a great first impression, your invitations should fully carry out the theme. Some fun ideas include invitations that look like over sized playing cards, party information written on a dealer�s hat and sent to your guests and invitations that resemble postcards from Las Vegas ("Wish You Were Here", etc.). Ask your guests to wear cocktail attire, similar to that worn in the early years in Las Vegas. Dressing the part will help your guests to get into the theme and will provide them some excitement and anticipation before even arriving to the party. Be sure to mention the attire on your invitations. Similar to Las Vegas, you may choose for your decorations to be elegant or completely over the top. It is totally up to you! Some ideas include the following. Drape sheer fabric over your light fixtures to create some mood lighting. Hang up over sized playing cards or sets of fuzzy dice (available at many party supply stores). Make signs that say phrases such as "High Rollers Club" or "(Your Name) Casino". And finally, your casino game dealers can wear dealer�s hats and vests to add to the authenticity. Finger foods and appetizers that you can pick up with toothpicks work well for this type of party. Since your guests will be moving around frequently, you do not want to serve any dishes that require silverware or require one to sit still to eat. If you have nice glass dishes, those are great to use. If you do not, then you can often find inexpensive plastic plates that resemble crystal. Serve a variety of classy cocktail drinks including martinis and daiquiris. If you do not wish to serve alcohol at your party, you may make virgin (non-alcoholic) versions of these drinks instead. More than the drinks, it is the overall presentation that is important. Serve your drinks in appropriate glasses that match the drink contents. For example, use martini glasses to serve martinis. Like the plates above, if you do not have glass versions of these, you can often find inexpensive plastic versions that will still provide the same presentation value. Because all your guests may not be casino game experts, make sure you have a few from which to choose. Roulette or blackjack are easy games to learn. For the more advanced players, you can offer craps, Texas hold-em, or many of the other current varieties of poker-themed card games. Provide your guests with casino funny money that they can use to exchange for chips at the casino party tables. It will be fun to see who ends up with the most funny money at the end of the evening. You may even choose to give out prizes at the end of the night. Play popular music from the early days of Las Vegas including Frank Sinatra and Dean Martin. 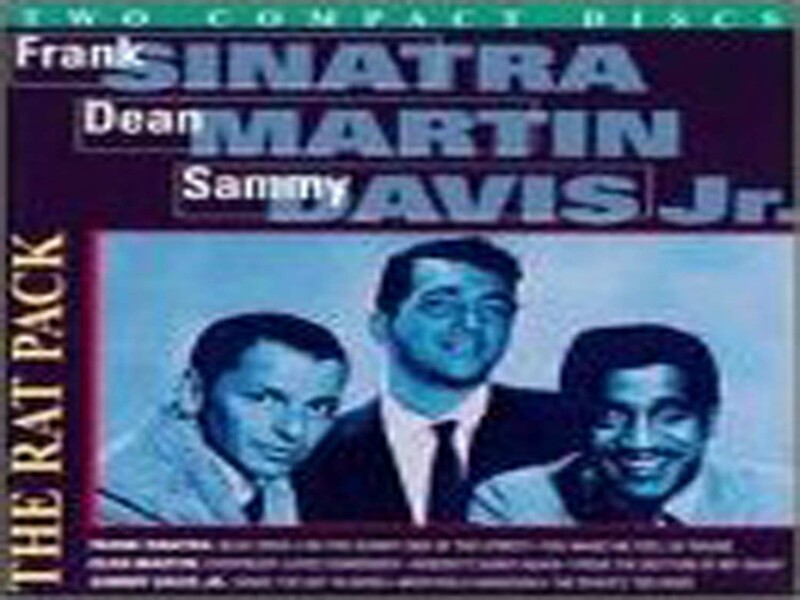 You may also choose a background recording of casino sounds ... clanging slot machines, craps stick man calling out numbers, money wheel spinning etc... Make sure that the music is loud enough that people can hear, but not too loud so they have to talk over the music. These are just a few ideas to get you started in planning a casino theme party. Because this type of theme party gets all the guests involved, it is a great way for your guests to get acquainted with one another and will not allow for any wallflowers. 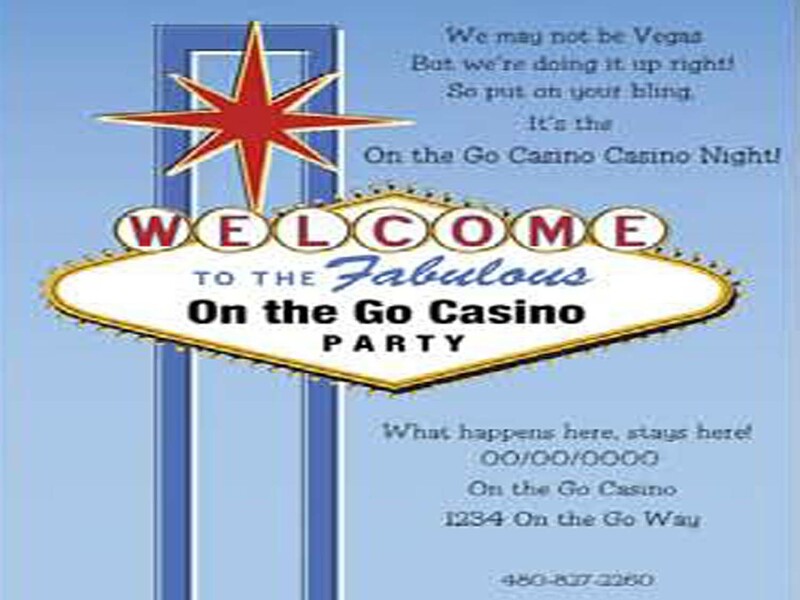 With a little creativity and advanced planning, your next casino theme party is sure to be a great success!